Many of the Sustainable Development Goals call for long-term attitude and behaviour changes. Volunteers facilitate changes in mindsets by raising awareness or championing those changes and inspiring others. 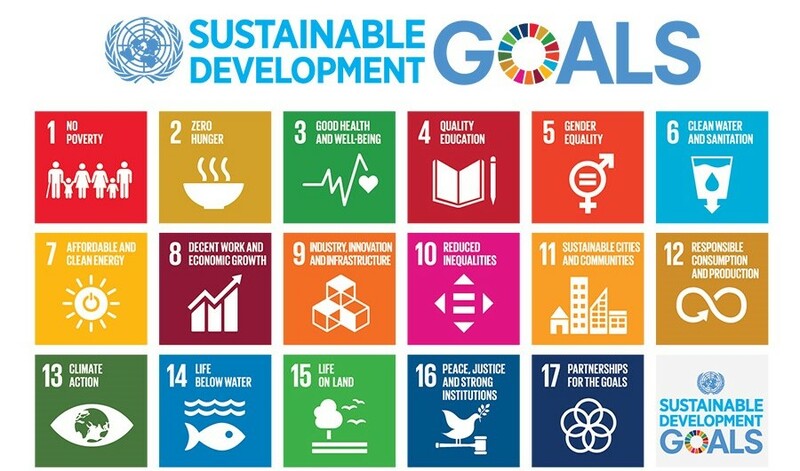 A set of 17 Sustainable Development Goals (SDGs, also known as the Global Goals) to end poverty, fight inequality and injustice and tackle climate change by 2030 were adopted by world leaders at the United Nations Sustainable Development Summit in September 2015. These global goals are universal, inclusive and signal a bold commitment to people and the planet. The 2030 Agenda for Sustainable Development explicitly recognises volunteer groups as stakeholders to achieve the 17 SDGs. As we seek to build capacities and to help the new agenda to take root, volunteerism can be another powerful and cross-cutting means of implementation. Volunteerism can help to expand and mobilize constituencies, and to engage people in national planning and implementation for the Sustainable Development Goals. And volunteer groups can help to localize the new agenda by providing new spaces of interaction between governments and people for concrete and scalable actions. Volunteerism strengthens civic engagement, safeguards social inclusion, deepens solidarity and solidifies ownership of development results. It simply is not possible to attain the SDGs without a wide range of people engaged at all stages, at all levels, at all times. Volunteerism is a powerful means for bringing more people into the fold. Volunteerism and volunteers are already expanding the space in which we achieve the future we want by engaging greater numbers of people in local and national planning and action for achieving the 2030 Agenda. By its very nature, volunteerism is an important vehicle for sustainable development. Volunteerism lets people and communities participate in their own growth. Through volunteering, citizens build their resilience, enhance their knowledge base and gain a sense of responsibility for their own community. Social cohesion and trust is strengthened through individual and collective volunteer action, leading to sustainable outcomes for people, by people. Volunteerism strengthens civic engagement, safeguards social inclusion, deepens solidarity and solidifies ownership of development results. Importantly, volunteering has a ripple effect. It inspires others and advances the transformations required for the SDGs to take root in communities. Volunteers can provide technical support and enhance capacity in all thematic goal areas. They deliver basic services, help transfer skills and foster exchanges of good practices, and add valuable international and local expertise through domestic, South-South, South-North and North-South exchanges. Corporate volunteers can play a particular role in this regard, by making their expertise available to public institutions as well as to fragile communities. Volunteers help leave no one behind by reaching out to people, including those marginalized or difficult to reach, to bring people’s voices and knowledge into collective actions. This is crucial to build ownership and localize the SDGs. Volunteer organizations can serve as brokers of engagement, connecting governmental strategies and initiatives with complementary, yet essential, community voluntary action. Many of the SDGs call for long-term attitude and behaviour changes - for example, in the way we live together or in the way we consume. Volunteers facilitate changes in mind sets by raising awareness or championing those changes and inspiring others. Finally, the SDGs require a “data revolution” to collect and analyse disaggregated data to monitor progress. Volunteers can help measure progress on SDG implementation by collecting data, providing expertise and supporting participatory forms of planning and monitoring. Volunteerism, as a form of civic engagement, is a way to strengthen state-citizen accountability mechanisms for the coming decades. Officially, the UN Resolution "Integrating volunteering into peace and development: the plan of action for the next decade and beyond", adopted by consensus by the UN General Assembly in November 2015, recognises that volunteering can be a powerful means of implementation for the SDGs. In the Resolution, the General Assembly also acknowledges the Plan of Action for the next decade and beyond (2016-2030), which aims at integrating volunteering in peace and development policies and programmes through a strategic and collective long-term approach that is consistent with the efforts to implement the 2030 Sustainable Development Agenda. The General Assembly called upon Member States, the UN system and a wide range of stakeholders to support and resource the Plan, and recognised UNV as the appropriate UN entity to support its implementation. Measure volunteerism to contribute to a holistic understanding of the engagement of people and their well-being and be part of the monitoring of the SDGs. For each strategic objective, the Plan indicates a number of actions.